SOLD OUT! Stay tuned for upcoming May dates. It’s time for another self-love workshop, this time focusing on dealing with our “winter blues” using emotional intelligence and making values-based goals for the new year. 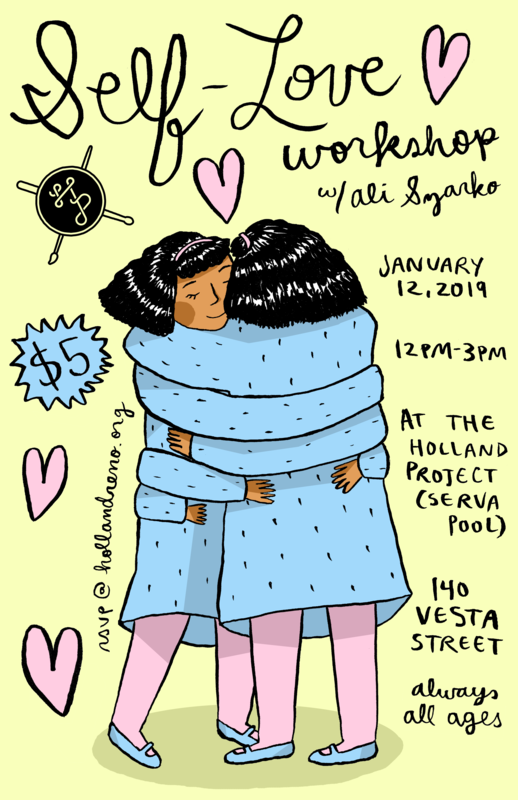 If you’ve attended our previous self-love workshops you already know you don’t want to miss this one. And if you’ve missed them, now’s your chance to join in! Ali Szarko (psychology graduate student from UNR) will lead participants in a 3-hour experiential training on the “self” and the steps we can take on a daily basis to be more loving of that ever changing person. We’ll discuss the concepts of psychological flexibility, mindfulness, and how to healthfully live in alignment with one’s self-chosen values. Whether you’re a seasoned self-care enthusiast or brand new to the world of self-development, all levels are welcome! Workshop fee is $5 with limited seating, must RSVP online or by email if you want to save your spot!